Lexie has had a terribly tough adult life. Seriously. A really hard life. Just one thing after the other. As she struggles to come back from the last thing, she starts walking to the local bar each Monday, just for one drink. She slowly starts talking to the bartender Sam. 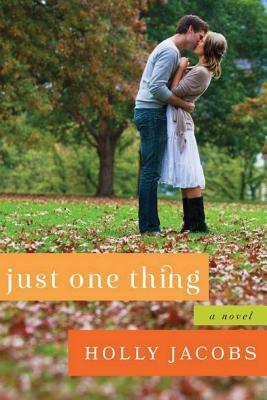 Each week he asks her to tell him “just one thing” about herself. Through these small confessions, Sam and Lexie slowly start a relationship and start to heal. This one is hard for me to review because it wasn’t an easy romance (and easy romances are the kind I like to read). An easy romance where the hero and heroine meet and you know that it’s going to be pretty easy going except for that one conflict that would be resolved in the last few chapters. No. This is a romance where you know instantly there is going to be drama. And a lot of it. And no shortage of tears. This one centers around Lexie and as she slowly tells her “one things” to Sam you get to discover her journey to Sam. And just like Sam, you discover it one thing at a time. One tear-jerking thing at a time. Sam has a past that slowly comes out as well, but honestly it’s Lexie’s story that overshadows everything. Everything including the budding romance between Sam and Lexie. It would be easy to say that I didn’t like this one. It would be easy and wrong. 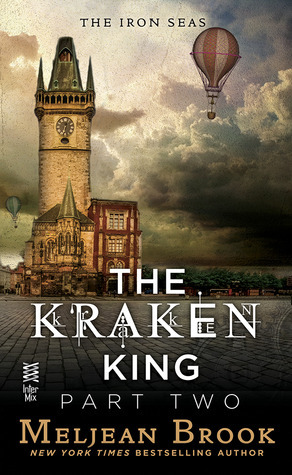 This story sucked me in during the first chapter and wouldn’t let me go until it was finished. The “one things” are written in flashbacks and I knew every time I picked it up I was going to be crying, but I had to get the next piece of the puzzle that is Lexie. If you like your romances carefree and lighthearted this probably isn’t one for you, but if you like Danielle Steel or similar authors, give this one a try. Sometime last year I heard a lot of buzz about this book. I jotted down the title and decided I should read it one day. Then when I was burnt out from my 3rd re-listen to the In Death series by J.D. Robb, I thought I’d listen to Eleanor & Park instead of reading it. I remembered that it was about high schoolers. I downloaded my copy and started listening. And I listened and l listened and I listened. It was so good, but it was also heartwrenching. I’d stumbled into a trigger of mine and I had a hard time putting it down. I kept inventing chores to do so I could continue to listen. That night when I went to bed only half way through the story, I felt like I was abandoning Eleanor and her siblings! It haunted me! I managed to finish it the next day, and it’s still haunting me. In a good way, but disturbing, too. Sixteen year old Eleanor has just moved back in with her family after a year away. They’re in a new house and a new school district, so besides her family, she knows no one. And after a year away, even her family feels like strangers. Park first sees Eleanor on the bus. She’s clearly going to be a target to be bullied, with her bright red bushy hair and weird clothes. When she can’t find a seat on the bus he surprises himself by reluctantly making room for her in his, all while hoping it won’t draw the bullies’ attentions to him. The way their relationship unfolds is sweet and so true! This is the best description of first love I’ve ever read! Rainbow Rowell just nails it. Along with their relationship, we also hear about Park trying to live up to his father’s expectations and dealing with his own issues as a half-Asian kid. And we hear about Eleanor’s horrible step-father who abuses her mother and looms over the whole house like an awful shadow, infecting everything they do. And then there’s the abject poverty Eleanor’s family lives in. It’s just painful to read about. But the sweetness and hope that comes when Eleanor and Park are together is so wonderful, it balances out some of the bad. 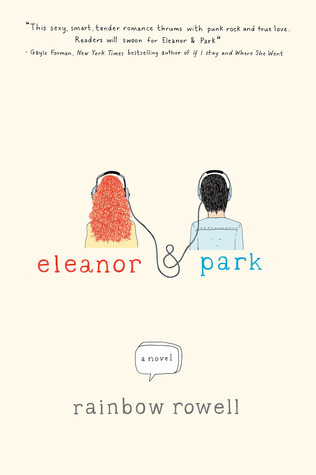 Eleanor and Park were great characters. They weren’t perfect and they both made mistakes that strained their relationship. They came across as very real and three dimensional. They grow and change as the story progresses. Even the bullies in the story are multi-dimensional. The story takes place in the eighties, and it’s quite a contrast to the anti-bullying climate we see in schools today. Eleanor bullied at school and there are times that the teachers not only don’t help, but make Eleanor’s life even harder. I’ve rarely been so rage-filled toward a character as I was toward Eleanor’s gym teacher! This book made me wish I was back in high school or in a traditional book club and could analyze it to death. I hated that in high school, but now I want to know what people think. Did they see this big twist coming? Why did this character act in this way. Was this just a perception in his head, or was it a real thing? WHY did Eleanor make that choice? What was up with Eleanor’s mom? How much did Park understand? I loved this story, and it’s really stuck with me. I highly recommend it, with the caveat that it’s emotionally wrenching! Honestly, I avoid a books like this because the kids in the story just break my heart. i wouldn’t have read this one if I’d known about the abuse in it. I’ll for sure read Rowell again, though!